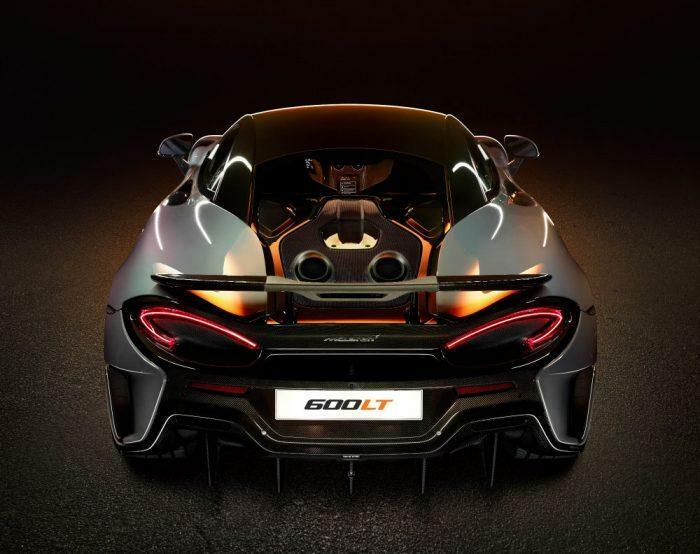 The new McLaren 600LT is here. The LT stands for “Longtail” and McLaren is making a bit of a fetish of what it means. 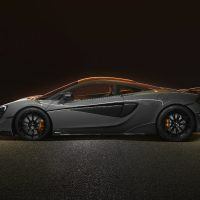 What it all comes down to though is that the new 600LT is the fastest, most powerful and most track-focused, but still road legal, Sports Series McLaren yet. This longtail stuff (one word in the preferred nomenclature) all started with the F1 GTR Longtail, a racing permutation of the fantastic F1 three-seater. It later showed up in a variant of the 675, the McLaren 675LT, and now the McLaren 600LT. 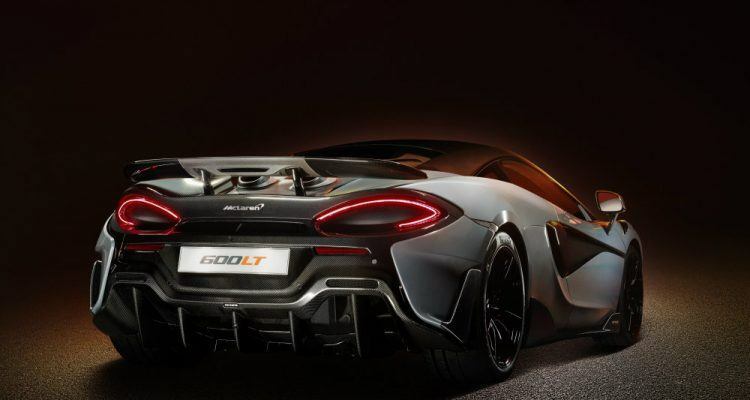 From the outside, the most notable features of the 600LT are the extra, 2.9 inches added to the back end, the extended front splitter, lengthened rear diffuser (of course), and fixed rear wing. You can’t see all the weight saving they did on this beast, but Woking was able to trim a substantial 211.6 lbs. off the 570S Coupé and its base measurements. 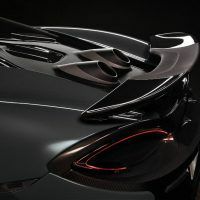 The chassis is a lightweight carbon fiber “monocoque” (of course) and there’s also new carbon fiber bodywork to lower weight and optimize aero performance. McLaren has also added top-exit exhausts for the new LT model, and I’m sure there’s sound engineering reasons for that – in the 600LT’s case, that would be a “substantial weight savings” – but it also seems like these top-exit exhausts are turning into some sort of fashion statement since Porsche first used them on their sublime 918 Spyder. The top-exit exhaust system of the new McLaren 600LT helps reduce back pressure. Photo: McLaren Automotive. The interior of the track-focused but still road legal 600LT is pretty minimalist. There are carbon fiber racing seats that were first seen on the McLaren P1 and lightweight Alcantara trim throughout. 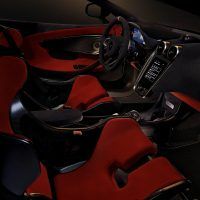 If the P1-sourced seats aren’t enough, you can opt for super-lightweight carbon fiber seats developed for the McLaren Senna. And if you want even more, other weight saving options include a carbon fiber roof and cantrails and vented carbon fiber front fenders. If you tick every lightweight option box, the lightest dry weight of the new McLaren 600LT is as low as 2,749.2 lbs. 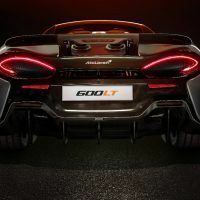 Motive force for the 600LT is supplied by a twin-turbocharged, 3.8-liter V8 with an uprated cooling system for 592 horsepower and a maximum torque output of 457 lb-ft. The power-to-weight ratio of the McLaren 600LT is an inspiring 474 horsepower per ton. 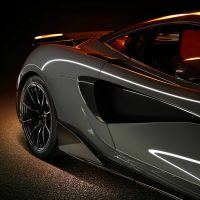 The McLaren 600LT rides on the forged aluminum double-wishbone suspension and the braking system from the second-generation McLaren Super Series. The tires are (what else?) Pirelli P Zero Trofeo R tires; the steering is quicker, and the throttle and brake pedal responses have been sharpened. And along with mounting the exhausts virtually behind the driver’s shoulder, the significantly firmer engine mounts should bring incredible sounds from the powertrain into the cabin. McLaren 600LT in Chicane Grey. 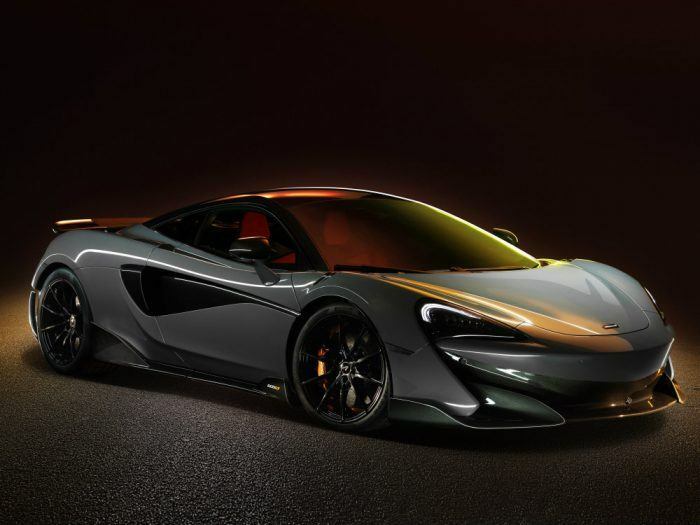 This new variant is only the fourth “Longtail” McLaren in more than twenty years. Photo: McLaren Automotive. You might want to head down to your McLaren dealer and check, however, since the 600LT is still available to order. Sadly, no word on price, but whatever it turns out to be, purchasing your new 600LT Coupé also includes the tuition for the Pure McLaren Road Owner Track Day. 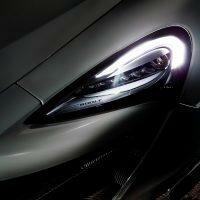 Photos & Source: McLaren Automotive. 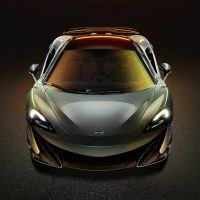 No Comments on "McLaren 600LT: One Rare Bird"